Alan Rose is two things, a very keen athlete and a sporting events entrepreneur. Mix these two together and the result is Justracing.com, an event management company that started life in 2001. Initially the idea was to run Triathlon events, since this was Alan’s chosen sport, but this quickly broadened to duathlons, coaching seminars and organising other people’s events. 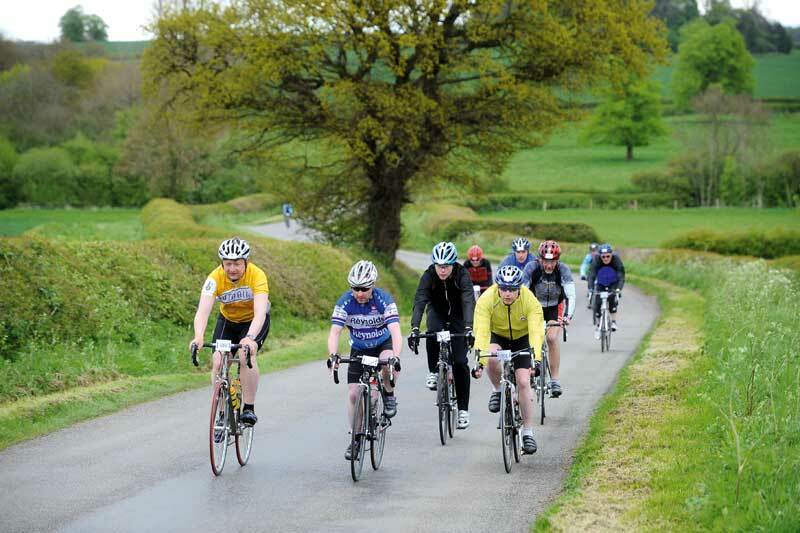 Just Racings first Sportive was run last year and proved a huge success with nearly 300 participants. So encouraged were they by the feedback received, two events have been planned for 2009. Their second is going to be an even tougher challenge of 101 miles looping through the Chilterns. With entries sold out the week before, and the prospect of an unusually warm and dry bank holiday, according to the forecast, the 500 lucky riders that set out at minute intervals in groups of twenty on Sunday morning were treated to a challenging route set among Northampton’s rolling countryside. Two distances were on offer – for the ‘Maids’ the 50-miler and for the ‘Duchesses’ 80 miles. The route certainly followed the flavour of its title with an almost pilgrimage-like journey through battlefield sites and past some of the country’s most important stately homes. Not content with these points of interest Just Racing had then cleverly connected them using wide open country lanes dotted with traditional English villages and their church spires. But best of all there was hardly any traffic, even for a bank holiday weekend. As it turned out, on the day temperatures were less than predicted but the food stations were still kept busy. With water, Hi5 and plenty of food on offer, everybody praised these facilities. The experience gained from hosting numerous competitive events over the years meant Just Racing provided a well-organised safe day out for all concerned. 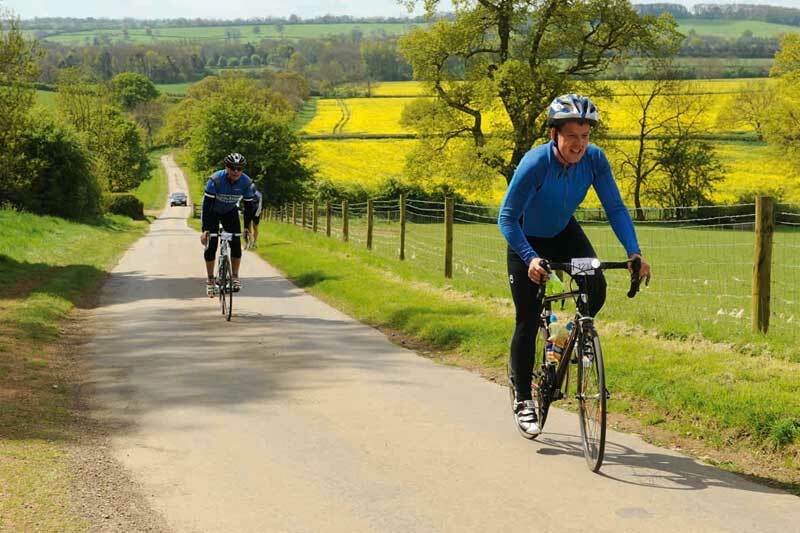 What is really encouraging is that people like Alan see sportives as making sound economic sense, letting his team to mark out a very challenging route through countryside that outsiders only see from the M1. If people like him provide value for money rides for us to enjoy and in turn we come back for more then everyone’s a winner. 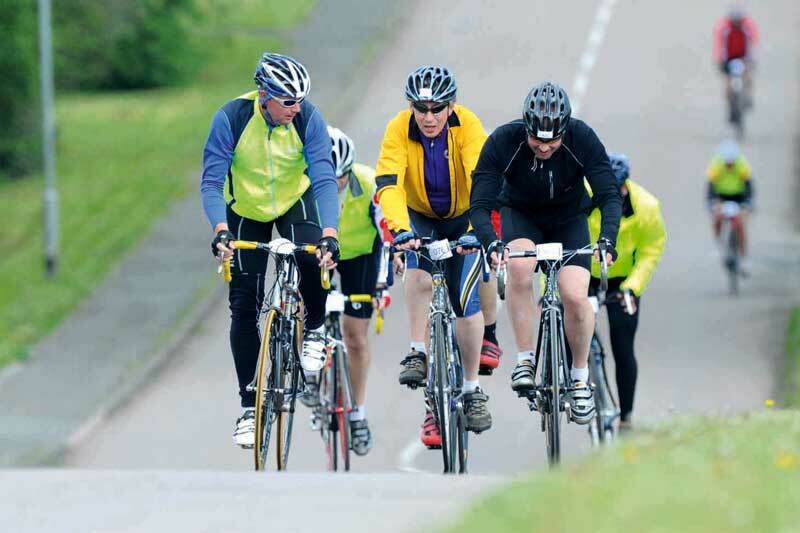 So why did event organiser Alan branch out into sportives? “It’s going to be alright” said Alan as I stood with him at the sign on. At the time it didn’t look promising, a cold, showery wind whistled across the start, most of us were wearing every piece of cycling attire that we owned and were still shivering while others stood about in shorts and T-shirts. It was good to get going and setting a steady tempo I started to overhaul some of the earlier groups. Joining one I fell into conversation with a member of the Norwood Paragon who having lived in this area for the past fifteen years had no desire to return. At the beautiful setting of Stanford Hall the roads were blocked by a retro VW campervan parade. The entire production line must have been there, but mercifully there was enough room for us to squeeze through. 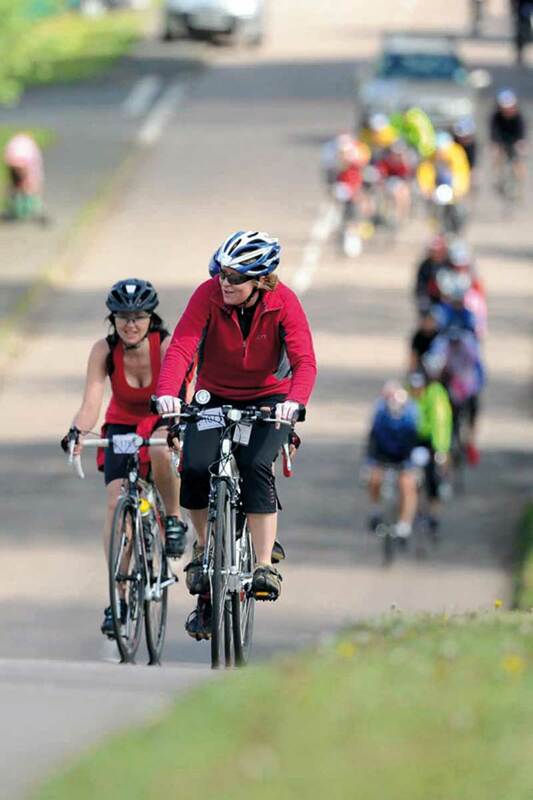 Continuing on I past the first feed at 33 miles and entered a world of endless traffic-free roads, that wended there way across open Northamptonshire countryside, full of the pretty, manicured villages containing the famous church steeples that feature heavily in this sportive. Caught daydreaming by two serious triathletes I jumped onto their wheel only for one to launch himself up a climb like a man possessed, disappearing into the distance. Tom from the Northants Triclub became my companion for the next thirty miles. We flew across open rolling countryside interspersed with short sharp climbs doing bit and bit. His bit involved towing me across the flatter undulations and waiting for me on the climbs! Passing the second feed at Anthrop we became a trio again, but sadly not for long, the creaking noises that were emanating from my bottom bracket was actually my left-hand crank slowly sliding of the spindle. On the final tough climb up past the magnificent backdrop of Cottesbrooke Hall, a challenge that had reduced some to walking, they were hopefully encouraged by the sad sight of me cycling one legged with my pedal, complete with crank, hanging from the other. Fortunately the finish was only a few miles away, but if I thought my day had incurred more effort than it should have it was put into perspective by the serious triathletes who were off out for a run after the finish. Respect.